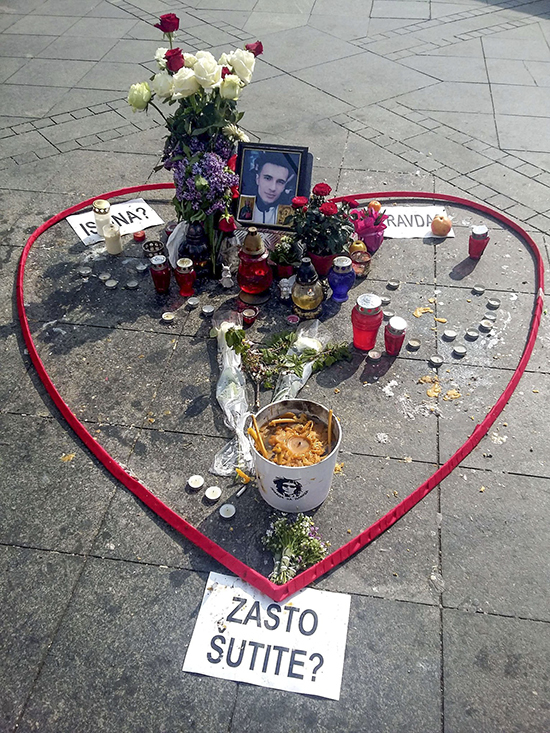 The unresolved deaths of two young men have led to persistent protests in Bosnia and Herzegovina. On March 24, 2018, the lifeless, bruised body of David Dragičević, a 21-year-old electrical engineering student and aspiring musician, was retrieved from the Crkvena river in Banja Luka. He had gone missing on the night between March 17 and 18 after he left a local bar at 2:30 a.m.. According to David’s father, he was drugged, tortured over a series of days, raped and then murdered — a suspicion that he says is corroborated by a second autopsy performed in Belgrade that contradicts the official account. More than two months after David’s death, there remain more questions than answers with regard to the circumstances of his passing, as the family accuse the police of tampering with key evidence to protect the perpetrators. The case resembles the suspicious death of Dženan Memić, a 22-year-old from Sarajevo whose family believe he was murdered, as well as a number of other unexplained deaths in Bosnia. This lack of trust in official accounts of people’s deaths has shaken the country, and led to a popular mobilization of citizens who are demanding that justice is served. 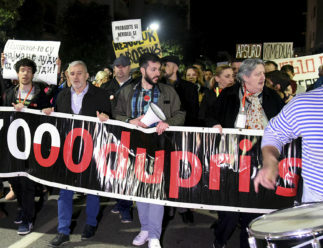 Holding banners reading ‘Why do you keep quiet?’ and ‘Who is protecting the killers?’ protesters have gathered daily in Krajina Square in central Banja Luka for the last two months to demand the truth about David Dragičević’s final hours. David Dragičević died in suspicious circumstances in March. Photo courtesy of Ostra Nula. The protests are led by the late David’s eloquent and composed father Davor. The Facebook page ‘Justice for David’ has over 220,000 followers. Davor has not shied away from laying out his version of events publicly, often attracting criticism from those in charge of overseeing the investigation. During an extraordinary session on May 10, the National Assembly of Republika Srpska convened to examine the recent findings as well as to assess the overall security situation in the entity, one of the two administrative regions in Bosnia and Herzegovina. Appearing at the session, Davor Dragičević struck a defiant note by specifically naming those he believed were accessories to his son’s murder. 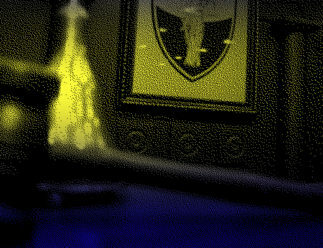 In his accusation, Davor was referring to Dragan Lukač, the Interior Minister of Republika Srpska; Darko Ilić, head of the Office for Organised and Serious Crime in Republika Srpska; Darko Ćulum, the director of Republika Srpska Police; and Željko Karan, the pathologist who conducted the first autopsy. 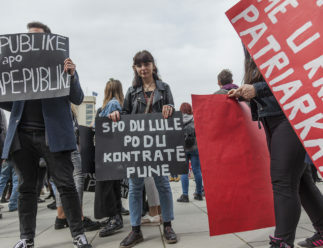 Trying to answer some of the accusations, Lukač told the media that the investigation is ongoing, and that he demands the Prosecution make all information available to the public. He rejected the notion that the police is trying to hide anything in this case. According to the official course of events, David was involved in a fight the night he disappeared, then went on to rob a house before finally jumping from a bridge into the shallow, sewage-filled Crkvena River. The police maintain that the objects found in his pockets (a USB stick, a knife, keys and money) were stolen from the robbed house, located near the place where his body was found, and that alcohol and drugs were present in David’s blood. According to the outcome of the first autopsy, David died at 4 a.m. on March 18 as a result of drowning, and his corpse lay in the water for seven days before it was found. The numerous bruises covering the man’s body were allegedly suffered during the earlier altercation. Not believing the official account, David’s father requested a second autopsy to be carried out. This was performed by an expert from the Belgrade Military Medical Academy, who found that the body could only have been in the water for two to four days when it was found on March 24, and that the death occurred sometime between March 20 and March 22. Therefore, according to the pathologist, David was still alive when the search for him was under way in the first few days after his disappearance. Dragičević was referring to the father of the late Dženan Memić who passed away in February 2016 in Sarajevo. Just like in David’s case, questions abound and answers are hard to come by when it comes to the circumstances of Dženan’s death. According to the official account, Memić was hit by a passing car while he was walking down a quiet, tree-lined alley in Ilidža, a Sarajevan suburb on February 8, 2016. He was accompanied by his girlfriend, Alisa Mutap, who allegedly suffered amnesia as a result of the injuries she sustained in the incident. The Cantonal Prosecutor’s Office of Sarajevo initially began gathering evidence for a murder trial, though this investigation was subsequently dropped, with the Prosecution later declaring that the cause of death in the Memić case was injuries sustained in a car accident. Bekrija and Ljubo Seferović, a father and a son, were accused of causing the accident and fleeing the scene. They were subsequently put on trial, which has yet to conclude. Muriz Memić has categorically rejected this account and from the start insisted his son, who fell into a coma and died a week later, was murdered and that the crime was covered up by the prosecution and the police. He claims that Dalida Burzić, the cantonal chief prosecutor, personally informed him in March 2016 that his son was murdered and that a letter to that effect was sent to his home address. 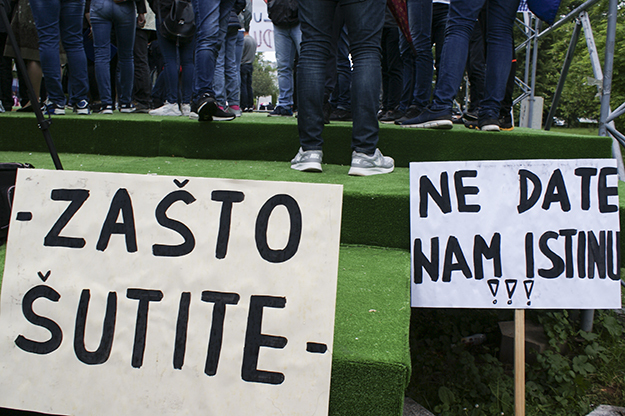 The Memić case sparked protests in Sarajevo, with protesters demanding the truth. Photo: Lidia Kurasinska. The sister of the deceased, Arijana Memić, is also bewildered at the way in which the case has been handled. “It is extremely worrying that the Prosecution is deliberately pursuing a case against persons that it must know are not the perpetrators and with an indictment that it knows is de facto non-existent,” she told K2.0. 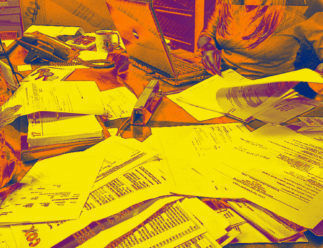 Just like in the case of David Dragičević, the investigation to establish Dženan Memić’s cause of death has been riddled with contradictory testimonies and inconsistencies. In his struggle for transparency in the trial, Muriz Memić has launched a campaign and called a number of protests over the past two years. 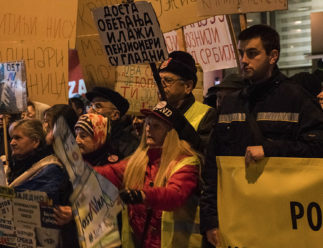 The Bosnian Serb Dragičević family and the Bosnian Muslim Memić family have united their protests, calling for justice for all. Photo: Lidia Kurasinska. 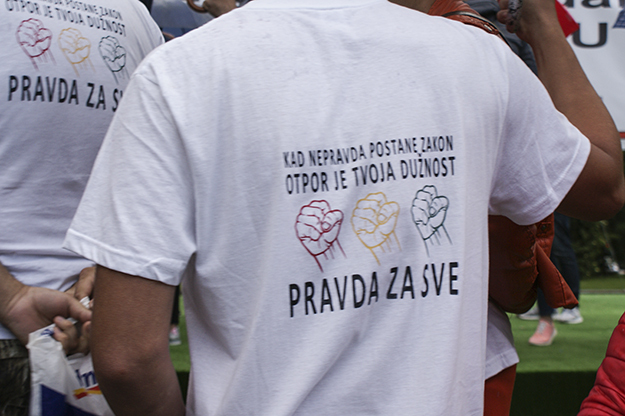 Recently, the fathers of Dženan and David decided to combine forces and held a joint protest in Sarajevo on May 15. In a show of inter-ethnic solidarity (Dženan was a Bosnian Muslim and David a Bosnian Serb) rare in modern-day Bosnia, approximately a thousand people came out to support the fathers’ quest for justice. Although the deaths of David and Dženan have gained the most publicity, there are a number of other unexplained cases where the official version of events remains starkly at odds with the one stated by the victims’ families, and where alleged perpetrators have not been punished. In 2011, 21-year-old Nikola Đurović was killed in a car accident. While Nenad Radinković, an unemployed baker, was sentenced to four years over the collision, Nikola’s father alleges that the real perpetrator was Stanislav Čađo, a former senior police minister in Republika Srpska. Milan Vukelić, an engineer, also from Banja Luka, was killed in a car bomb explosion in 2007. A fellow passenger who survived the incident claimed the identity of the alleged killer and their motive were “an open secret in Banja Luka.” Days before his death, Vukelić spoke to the media of his suspicion about the lucrative projects pursued by the government-owned Banja Luka Construction Institute, where he was employed. Arijana Memić has said that “even though the cases are all different, we fight the same battle.” She revealed that her father has also been in contact with the fathers of Selma Agić and Edita Malkoč, two girls that died in a hit and run car accident in Sarajevo last year and whose killers never faced justice; the fathers have agreed they would join the protests, she said. “The only way to achieve anything is if we unite,” Arijana added. As the families join forces, their campaigns often become subject to criticism and bizarre accusations from parts of the media and the state. In an interview with Republika Srpska’s Novosti website, Republika Srpska’s police chief Darko Ćulum, referring to the Justice for David campaign, claimed that “some are using the tragedy to achieve their own goals,” and argued that some Western intelligence services are busy “creating information” on social media. 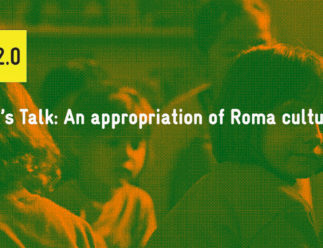 ABOUT THE AUTHOR Lidia Kurasinska is a freelance journalist based in Sarajevo. She writes about eastern Europe and the Balkans.